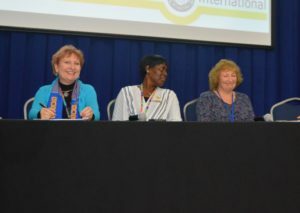 On 14 March, the Soroptimist International Federations of Soroptimist International of Europe; Soroptimist International of Great Britain and Ireland; Soroptimist International of South West Pacific and Soroptimist International of Americas, joined together to deliver the event: ‘Lifting Women out of Poverty through Lifelong Learning’. Quality education for women and girls throughout their lifespan is a necessary foundation for the achievement of all Sustainable Development Goals. The work of Soroptimist International provides educational opportunities when social protection systems, public services and sustainable infrastructure are diminished, so women and girls have the opportunity to reach their fullest potential. The event explored formal and non-formal educational opportunities for women and girls, looking at the use of vocational skills to build confidence and empower women and girls to achieve their fullest potential, additionally, the many challenges and barriers to gender equality were discussed, and the need for a change in attitudes and social structures in the larger community. The event was moderated by SI President Mariet Verhoef-Cohen, and included a presentation by the SI President, and the Chair of the SI President’s ‘Women, Water & Leadership” Appeal, Hafdís Karlsdóttir. The event commenced with a Welcome by SI President-Elect, Sharon Fisher, who presented successes of the 2015-2017, SI President’s Appeal ‘Educate to Lead: Nepal’. Twenty projects, impacting thousands of women and girls, including the funding of scholarships and vocational skills training; the rebuilding of a school, toilets and sanitation; and awareness raising on the risks of trafficking. A transit house was supported for trafficking survivors, and a project with Days for Girls, to reduce the stigma surrounding menstruation, and building legitimacy and trust with elders within communities. 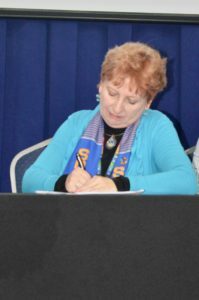 Sharon spoke of the work of a Soroptimist Club in Austria who are delivering micro-credit loans to women, so they might be able to return to education and learn new skills. The micro loans had already benefited 500 women, and with support from the Appeal, 150 further women were empowered and gained new direction in their lives. Sue Riney of Soroptimist International of the Americas (SIA), explored the successful SIA programme ‘Dream It Be It, Career Support for Girls’, beginning by inviting the audience to take a moment out of their busy CSW schedules, close our eyes, take a deep breath and picture our younger self at just sixteen years old. Riney asked whether we felt we could do anything,, whether the sky was the limit, or if we were facing obstacles that seemed somehow insurmountable. Riney spoke of girls around the world all approaching the teenage years, many lacking confidence or direction; understanding and respecting the concept of ‘girl power’, but feeling unsure how to apply this in their own lives. The SIA programme ‘Dream It Be It’, sets out to bridge this gap between understanding and accomplishment, delivering training programmes that empower young women, and create a roadmap for girls to set their dreams in motion. A seven-part curriculum includes training, mentoring, guest talks and lectures, with the aim of building confidence and encouraging success through a step-by-step process and workable strategy. Unlocking potential, the programme has supported 35,000 girls since 2015, and is committed to implementing SDGs 1, 4, 5, and 8. Liz Dominey of SI of Great Britain & Ireland, discussed ‘Stem Challenge for Girls’, a major project undertaken by SI Bournemouth, Soroptimist International of Great Britain and Ireland. Designed for girls in years 8 and 9, aged 13 and 14 years old, the project is developed to challenge girls to consider research – and to develop projects that are fit for purpose, cost effective, sustainable, and to help people in the poorest parts of the world. She spoke of the gender bias with just 15-25% of the STEM workforce being women, questioning why this matters? Careers in STEM tend to be well paid, and a lack of women in these roles means fewer female role models for girls forming career choices. Dominey explored the many reasons STEM careers may seem unachievable to girls – one of which is the tendency for girls to favour roles with more altruistic goals. Each girl is entered for a British science crest award, recognising success – and students recieve a personal achievement certificate, monetary prize and the school additionally receives a monetary prize. The award is subsidised by the government and in the first year, 12 girls entered, and last year this rose to 200. Judges come from local, national and global companies within the STEM arena, and sponsorship is gained from local companies. An Awards night is held at a University and the project won the Queens Award for voluntary service, with the concept now being shared to other Soroptimist clubs in the UK, and also in Italy. Elizabeth introduced a project taking place in Italy, supporting 54 young women graduates through a mentoring and coaching programme. In Turkey, a project is empowering women in prison, providing job placements and establishing a support centre. All the projects showcased by Nyadwe presented evidence that investing in the education, mentoring and empowering of both younger and older women throughout their lifetime – brings increased opportunities and value to communities and society as a whole. 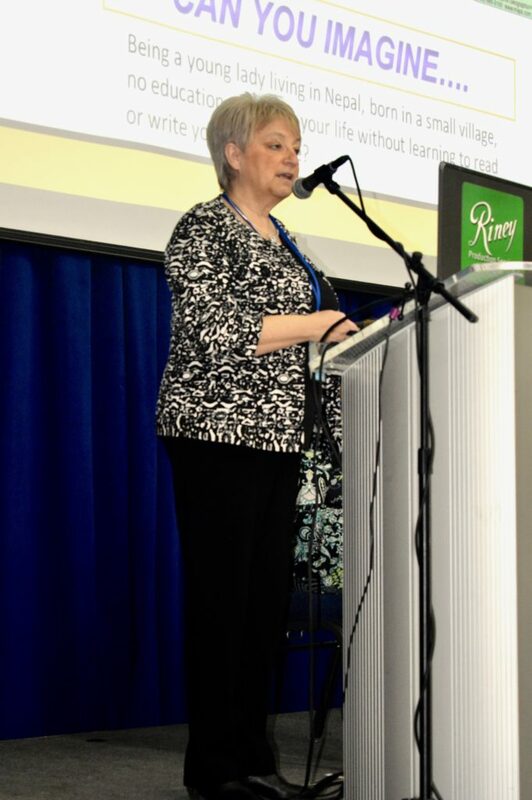 Catherine Evans, Soroptimist International of South West Pacific presented on ‘Women’s Empowerment and Training: From Malaysia to Mongolia, Lifting Women From Poverty through Lifelong Learning. 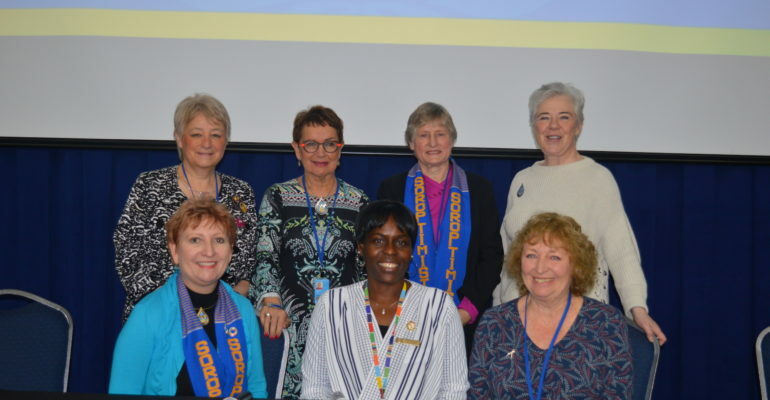 Catherine introduced some of the projects taking place in Soroptimist International of South West Pacific – From Malaysia to Mongolia, two programmes in particular: SPOT which is dedicated to educating and awareness raising of teenage pregnancies in Malaysia. Catherine spoke of the 1800 teenage pregnancies recorded each year and the positioning of the Soroptimist Puberty Organising Toolkit (SPOT), filling the gaps in Malaysia’s sexual health and education for young people, with SI Petaling Jaya developing the SPOT PuberTeen Talk and SPOT Workshops. SPOT is now recognised by the Ministry of Education, Malaysia, supported by the Ministry of Health and the National Population and Family Development Board (LPPKN), as well as the Ministry of Women, Family and Community Development of Malaysia. The second project introduced is taking place in Mongolia. The Ger project enables women to grow their own fruit and vegetables and create a self-sustainable lifestyle. The programme hopes to develop greenhouses in the near future. Hafdis Karlsdóttir, Chair of the SI President’s Appeal 2017-2019, joined SI President, Mariet Verhoef-Cohen to discuss the SI ‘Women, Water and Leadership’ Appeal, and the link between social protection systems and SDGs 4, 5, and 6, a key focus of the work of the SI organisation. One of the global challenges of our time is the lack of access to water (SDG6). Water is the source of life for every single living being on the planet and essential for economies to thrive. The importance of creating conditions to facilitate women in the role of leaders in achieving equal access to water for all uses is widely understood. Making finances and funding available to empower women in water related fields, and achieving gender equality in water is a priority, whilst providing vocational training, often in non-traditional sectors, to empower women will help lift them out of poverty. SIFAF Update – African Federation is getting ready to go! Subscribe to receive the Soroptimist International Newsletter by email.